Implausibility and Probability in Studies of Qur’anic Origins: On the assumption that an answer is only as good as the question posed, the lecture will address trends in the present state of studies of the origins and composition of the received Qur’anic text, by challenging questionable assumptions and exploring promising avenues for future research. It will consider certain physical—textual and codicological—features of the Paleo-Muslim Qur’anic text and a number of historical reports, in order to propose a model for the process of its constitution, composition and circulation prior to and up to the constitution of the literary canon. In so doing, the lecture will adopt a perspective rather more attentive to historical and socio-linguistic processes than to purely philological consideration. 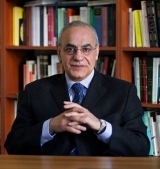 Aziz al-Azmeh is CEU University Professor in the School of Historical and Interdisciplinary Studies, Central European University, Budapest. He has been a long-term fellow at the Institute for Advanced Study, Berlin, and a fellow at: the Swedish Collegium for Advanced Studies, Uppsala; the Collegium Budapest; the Rockefeller Center for Scholars, Bellagio; and the Maison des Sciences de l’Homme, Paris. He was a visiting professor at Columbia, Yale, Georgetown, and the University of California, Berkeley. Among his books in English are Ibn Khaldun (1982), Arabic Thought and Islamic Societies (1986), Muslim Kingship (1997), The Times of History (2007), A History of Islam in Late Antiquity: Allah and His People (Cambridge University Press, forthcoming) and Arabic Literary Sources and the Religious and Ethnographic History of the Arabs in Late Antiquity (Harrassowitz, forthcoming). 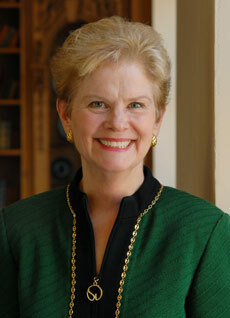 Jane Dammen McAuliffe is a scholar of the Qur’an and Muslim-Christian relations who served as President of Bryn Mawr College (2008-2013) and Dean of Arts and Sciences at Georgetown University (1999-2008). Her publications include Qur’anic Christians: An Analysis of Classical and Modern Exegesis (Cambridge University Press, 1991), Abbasid Authority Affirmed (SUNY Press, 1995), With Reverence for the Word (Oxford University Press, 2002; paperback 2010), the six-volume Encyclopaedia of the Qur’an (Brill Publishers, 2001-2006), The Cambridge Companion to the Qur’an (Cambridge University Press, 2006) and the forthcoming Norton Anthology of World Religions and Norton Critical Edition of the Qur’an.